In the age of multitasking, making the most of one's spare moments is imperative, especially for beginning language students. Fun, lively, and thoroughly engaging, the Language On the Move audio program series is the perfect solution for anyone wanting to learn a language in a limited amount of time. 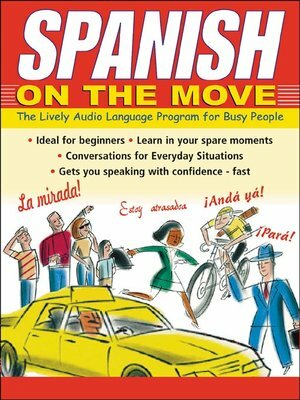 Infinitely more innovative and compelling than other comparative audio titles, this proactive language program features a lively narrator who guides listeners through the course as well as two native speakers who act out an engaging story line that periodically develops through the recording. Vocabulary and key phrases are introduced in manageable bites, while audio language games provide a fun way to test and review. Natural, unscripted conversations are included to attune learners to the speed and cadence at which the language is really spoken.